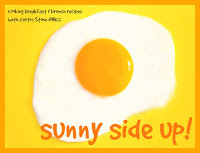 This week at I Heart Cooking Clubs (IHCC), the theme is "Sunny Side Up!". Anything that is suitable for breakfast or brunch! I've made Crispy Tortilla with Ham, Chile, Spinach and Fried Eggs for brunch. Crispy Tortilla with Ham, Chile, Kale and Fried Eggs, with some Cheddar cheese scattered over the top, broil until the cheese melts, for the two kids. I've used Wholewheat Tortillas, which are first lightly toasted in a griddle pan until just lightly crisp on both sides. For the ham, I've used Honey Glazed Ham. In the recipe the side veggie used is spinach which is sauteed lightly with some red jalapenos. I have however used Kale and Hot Cherry Bomb Pepper, both from my garden pot. As for the fried eggs, I've used only one for each serving (instead of two). Place the ham on the lightly crisp tortilla, top with an egg and scatter some cheese over, then broil for a minute or two until the cheese melts. Place some of the veggie at the side and serve. This is mine, without any cheese, but with some sprinkling of black pepper and hot sauce. Yummy! Preheat the broiler. Heat a flat griddle pan over medium-high heat. Working with 1 tortilla at a time, cook the tortillas for 2 minutes on each side, or until they are hot and slightly crisp (do not allow the tortillas to become too crisp at this point, since they will continue to crisp under the broiler). Set 2 tortillas on each of 2 large heavy baking sheets. Lay 2 slices of ham, overlapping slightly, on each tortilla. Melt 1 tablespoon of the butter in a large saute pan over medium-high heat. Add the jalapeno and stir to coat with the butter. Add the spinach and saute for 2 minutes, or just until it wilts. Season to taste with salt, squeeze out any excess moisture, and spoon the spinach atop the ham, dividing it equally. (I've added the spinach/kale on the tortilla after the broil, just before serving). Melt 1 tablespoon of the butter on the griddle pan over medium-high heat. Crack 4 eggs into the pan, spacing them evenly apart, and cook for 2 minutes, or until the whites are set and beginning to brown around the edges. Using a spatula, carefully set 2 eggs atop the spinach on each of 2 tortillas. Repeat with the remaining 1 tablespoon butter and 4 eggs. Sprinkle the shredded cheese over the eggs, and broil for 1 to 2 minutes, or until the egg whites are set on top and the cheese has melted. Transfer to plates, and serve with the hot sauce. What a pretty presentation. I have to admit, I don't like kale. But I like everything else you've placed on the tortilla! This looks really good, and easy. 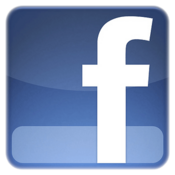 I like easy! The hot cherry bomb pepper looks so cutie. My kind of tortilla ... gonna make some this weekend ! The peppers are rather mild, but they are juicy and a little sweet. I love it! This is a great dish to kick start the day, Joyce. That cherry bomb pepper plant looks so beautiful! That's definitely my idea of a good breakfast! I like kale, but only in winter. I crave for summer and now we have local spinach, so I'll macke this with it. Fried egg on anything is a winner, especially ham and a crisp tortilla. The cherry bomb pepper sounds like a fun way to liven things up. I love everything on this plate! The perfect rounds of the tortilla, ham and egg dressed up the dish like a painting. Very attractive! I bought the canadian bacon to make this one and then forgot and made something else. Now I'm sorry I forgot. These look delish. MONA, Publika: Famous Salted Egg Butter Chicken Has Landed in KL!